I have been at this job, working daily from around 9 to around 5, for 3 work weeks, 120 hours - one pay check. 20 more hours in the car. I have had coherent, useful, productive, inquisitive thoughts for about... maybe 60 of them. On Wednesday, I left my notebook at home. The notebook filled with day-to-day stream of consciousness, stream-of-day - questions about projects, products, programs - notes for the exam I will have to take and pass within 90 days into the job. The notebook I cling to to make sense of today out of whatever I wrote yesterday. All those years working from home has spoiled me. I would be on conference calls barefoot, after my morning nap, often in whatever I had worked out in that had pushed me out of bed earlier, at 6. There was no 'forgetting things.' There was laundry when my mind wandered, and my notebook was likely by the bed if not by my computer. I could walk upstairs to get it. Work through my to-do's while reclining on the Tempurpedic. We're in-town snobs. We don't commute. We live "ITP" as we say around here - inside-the-perimeter, Atlanta proper, planned neighborhood, but not the 'burbs. Fulton County, Fulton County taxes. So I got a job in the suburbs. Way in the suburbs. Far far away in Farfarawayland. I am not used to the commute. I took about three minutes to breathe in my cube, to weigh having that notebook against returning into that traffic. Maybe two minutes. I checked my calendar. I realized, for the kazillionth time that week that I have only the thinnest grasp on what I am doing. That notebook is my lifeline. No longer "opposite traffic," the drive home and back had me settled into work around 11. The next day, Thursday, while going over the inventory of My Things before while leaving my neighborhood, I realized my phone was still at home. On the bathroom counter. I returned. Frustrated, because I was missing the early-traffic window, but proud that I figured it out early. I zipped home, parked, ran inside, turned off the alarm, kicked off my shoes, bolted up the stairs, grabbed my phone, re-set the house alarm, jumped back in the car, and patted myself on the back when I realized I was in the exact same spot as when I had noticed the missing phone a scant 6 minutes earlier. Nice. I arrived at work 55 minutes later. Not quite an hour. Still better than Wednesday. I had originally planned to be early, and I was still solidly on time. The shoes I had kicked off were, presumably, in the kitchen. I moved the trumpet I have not yet returned to the music store (new rental contract elsewhere) and looked for the shoes. (Perhaps I had put them UNDER the trumpet case...) I looked under seats, in the back, opened the trunk (Perhaps I had put them IN the trunk...) No shoes. Sebastian's flip flops - though he has been told a thousand times not to leave them in my car - were there. In the back seat. 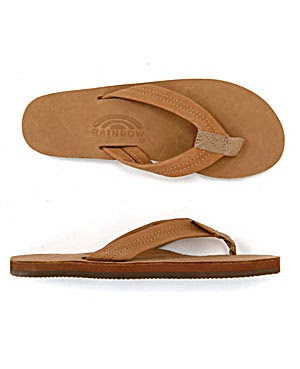 Three weeks into my new banking job, and I wore my ten-year-old-son's flippy floppies all day. With my silk blouse with beading detail, my ponte knit skirt with wide grosgrain trim. The patent leather belt, the long drapey sweater. Today, I'm working from home. Barefoot. Great, Cat. Thanks. THAT was hilarious...I can just see you in the flip flops. Do you remember me saying: Fred wore flip flops...in the winter. It was either steel toed work boots or flip flops. Today is his birthday. You're such a great communicator...I always want to talk more after reading you or talking to you. PS Just had breakfast with Pat...I'm going to point him to your blog. You're working??? Sigh, I feel out of the loop. But Glad you are gainfully employed. IN a cube. Welcome to my life. Sigh. Love it! Welcome to my world!